As you all know, Feature and Follow Friday is hosted by Parajunkee and Alison Can Read, and is all about spreading some blogosphere love. 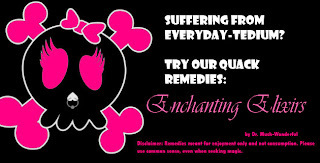 IF YOU COULD INVENT A QUACK PRODUCT OR REMEDY, WHAT WILL IT BE? Leave me a comment to let me know! Ah, been a while since I did one of these. Anyway, as you all know, Feature and Follow Friday is hosted by Parajunkee and Alison Can Read, and is all about spreading some blogosphere love. Q. Have You Ever Bought a Book Because of a Bad Review? A: Yes, I bought the Mortal Instruments by Cassandra Clare after one of my good friends read the book and trashed it so much that I just HAD to read it. Of course, her being a Harry Potter fan and fan-fiction writer was the main problem here: she had heard about the whole plagiarism fiasco and we had both read Cassandra's HP fanfic- the Draco Trilogy- and she thought the Mortal Instruments was basically a recycling of DT. Anyway, I read the book and sort of liked it: it was mindless fun if you ignored all the glamour-people and HP comparisons and glitter fizz. I liked Magnus Bane, at least. Leave your FF links :) Happy Follow Friday! I heart the Curse Workers series by Holly Black. Who wouldn't? Cassel Sharpe, the male protagonist, is an awesome character full of vulnerabilities and with a facade of bad-boy badassery, there is magic and lots of it, and then there are cigarillo smoking Godfather type men in suits and carrying guns. Come on. Curses and con. Magic and the mob. This series is just irresistible. 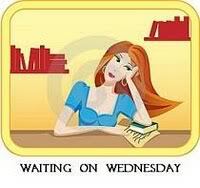 So this Wednesday, I'm waiting for a book that's already come out but is not in India yet for some reason. I love my historical novel with a dash of fantasy, and there is HG Wells in it! Time travel plus intelligentsia. Yum. Too bad it happens to be absurdly expensive on the book sites that ship here. Set in Victorian London with characters real and imagined, The Map of Time boasts a triple play of intertwined plots in which a skeptical H.G. Wells is called upon to investigate purported incidents of time travel and to save lives and literary classics, including Dracula and The Time Machine, from being wiped from existence.